Do you enjoy being a Catholic for God or do you serve God basically only for what He can do for you? The man in the religion of fear prays the rosary only because he knows he should. It would not do to say you are a Catholic and not pray the rosary! But they do not enjoy it. They never go to Church unless it is absolutely necessary, or unless it will be of some benefit for them. When they do go, they are cold, dull, listless and lifeless, and glad when it is over. Their only enjoyment in their religion is chiefly one of anticipation; they hope they will be happy in the next world, but never enjoy God in this one. The true child of God already enjoys His peace; heaven has begun already in his soul. He has Christ life bubbling with in him now, not merely the prospect of a life in the hereafter. He has the very feelings of heaven in his life. He is not waiting until he dies to taste the thrill of eternal life. The counterfeit Catholic is moved by his convictions, not his affection. His "faith" is the religion of fear. He is driven by warnings, not drawn by the love of God . He regards the law of God for fear that God will pass him by if he does not, but he does not LOVE to do what God requires in His law. He is filled with the spirit of fear, lest he make the wrong move or do the wrong thing. God is not a loving and compassionate heavenly Father to him, but a stern, exacting taskmaster. He is more or less strict in religion according to what he knows to be right, and more or less miserable to the degree his conscience bothers him. He knows what is right, but does not have a heart to do it. The more he knows, the more miserable he becomes. Here is a key difference. The true Catholic prefers obedience; the counterfeit purposes or intends it, but usually fails to do so. Why? Because he knows he should but because his heart is not in it he fails. He is not only afraid of hell but of punishment, judgment and disgrace in men's eyes. It is not bad to be motivated by fear. In fact, that is normal. Many motivations, many impulses, many experiences in life drive us to Jesus. Whether those motivations and impulses and experiences prove to be a means of salvation depends on what we make of Jesus when we get there. You see, The fearful counterfeit convert still lives for himself, thinks of himself, and seeks his own happiness and safety supremely. These fears keep him outwardly moral. He keeps up a kind of obedience that is formal, heartless, loveless and completely worthless. What should happen is that the fear should drives us to Christ. It is not what saves us. What saves us is what happens when we come to Christ surrendering our selves to Him. As an adult who has never been baptized, we find through repentance and baptism that our heart is made new. We no longer want to live for ourselves. We no longer want to think of ourselves. We no longer desire to seek our own happiness. If you were baptized as a child you were given that new heart, made holy unto God because of the Faith of your parents. (I Corinthians 7:14) But at some point in your life you must make your own conversion. That is, there must come a time when you take your parents Catholic Faith and make it your own. The counterfeit Catholic keeps committing the same sin by convincing himself that God will forgive him eventually and he can always repent of it afterwards. Because the counterfeit Catholic lives in known sin, he likes to hear sermons on the security of the believer; on Gods mercy, on His long-suffering. His only trouble is that he does not realize the majority of these scriptures do not apply to him, because he is not truly a Catholic at all! Proof positive of this is his love of sin more than God; he likes to be soothed along in it, not shocked out of it; comforted, not challenged; assured, not examined. His conscience bothers him so much already that he cannot stand sermons that throw further light on his true state of his soul. If their own souls can be temporarily secure, they care very little what happens to the rest of the world. They like homilies that give them a license to go on in sin. They prefer Priest who can preach with conviction on ideas rather then the Truth. The counterfeit Catholics have a spirit of GET instead of GIVE. True Catholics enjoy giving and helping others more than being helped by others because they love. Their hearts are set on the highest good, and their deepest, sheerest joy is to be able to do it. Counterfeit Catholics are always looking for ways to get from others whatever they can. Especially is this true in daily business, if selfishness rules our conduct there with men, as sure as God rules we are selfish before Him. A man in the religion of fear finds it hard to give anything of his to God. He may have to, to keep his reputation, but it bothers him to no end. The counterfeit Catholic never enjoys self-denial. If a man sets his heart on anything, he enjoys everything he saves for what his heart is set on. The more he saves from other things to give to this, the more he is pleased. The phony finds it hard to give to the Church, it is easy to see that his heart is not in it. 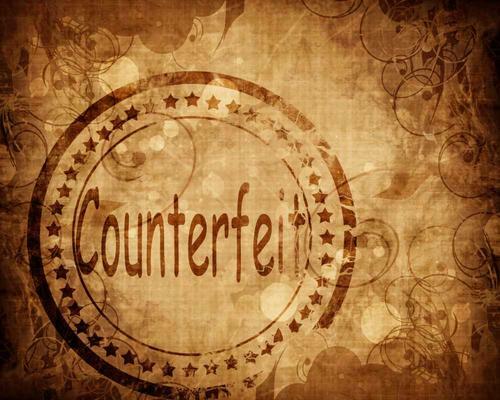 To the counterfeit it is a pain in the neck to give to God. He cannot understand the joy of unselfish giving , to advance God's kingdom, because it drains resources from his own little world where he rules as king. Their prayers and cares for others are born out of fears for themselves. The true Catholics prays for the sinner because he has a sense of the evil of sin which sinners commit, the Counterfeit because he has a fear of the terrors of hell. The phony prays for a sinners safety. The Catholic prays for safety from sin. The Catholic feels compassion for the sinner, but grieved anger on God's behalf for the sinner's rebellion. The man who has a religion of fear feels more sorry for the sinner than for God, because he shares his sin and sympathizes with him. A Counterfeit can never understand how God could allow a loved one to go to hell. They feel more for the "loved one" than for the God whose heart the rebellious "loved one" has broken. Christ's words commanding supreme love of His followers over all other earthly loves have no meaning to them. They do not supremely love Him; they love themselves, and everything connected with their own happiness. It is not extravagant to say that the religion I have described appears to be that of a very large majority in the Church. To say the least, it is to be feared that a majority of professing Christians are of this description. To say this is neither unloving nor is it excessively critical. This kind of Catholicism is radically defective. There is nothing of true religion in it. This kind of religion is as different from Catholicism as much as the Pharisees were different from Christ, as much as the true Faith of the Church differs from the legalism we find in our Parishes, as much as the faith of love differs from the religion of self. Now, let me ask you, to which of these two classes do you belong? Is Christ the center of your life, or are you trying to fit Him in for your own happiness? God knows if your faith is the religion of self. Why try to find happiness in serving yourself? In conclusion, If you read the descriptions of the counterfeit Catholic and think, "I know somebody who is like that." In the words of Jeff Foxworthy, "you just might be a counterfeit Catholic!" Go back through and read the descriptions again and look at your own self. Then if the shoe fits, Come, and surrender yourself to Christ simply as a child, to live no longer for yourself, but to live in love for God and His glory.